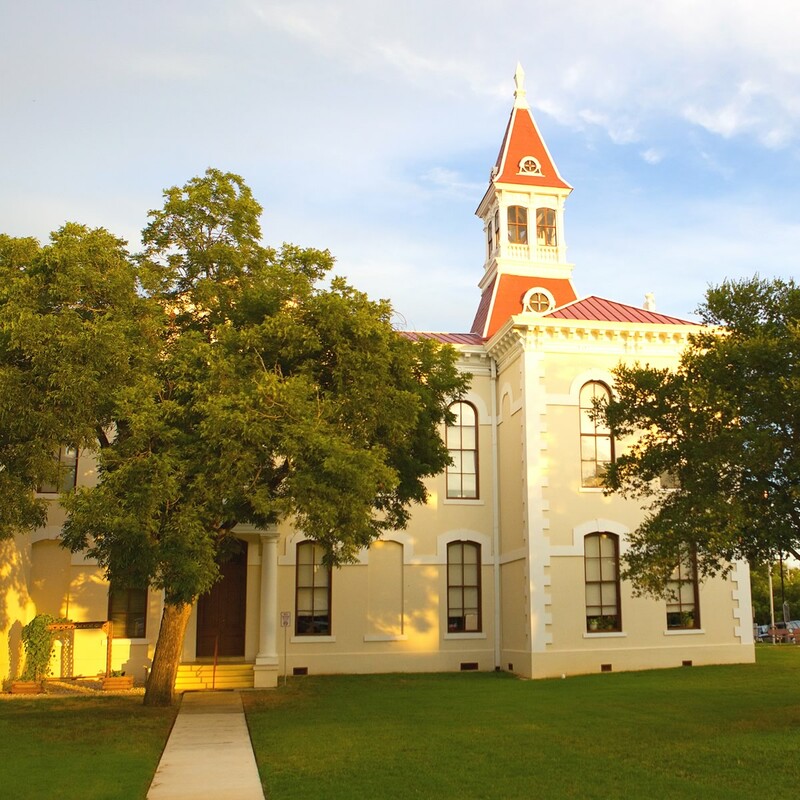 Founded in 1867, Floresville was named after Don Francisco Flores de Abrego, an early settler from the Canary Islands. 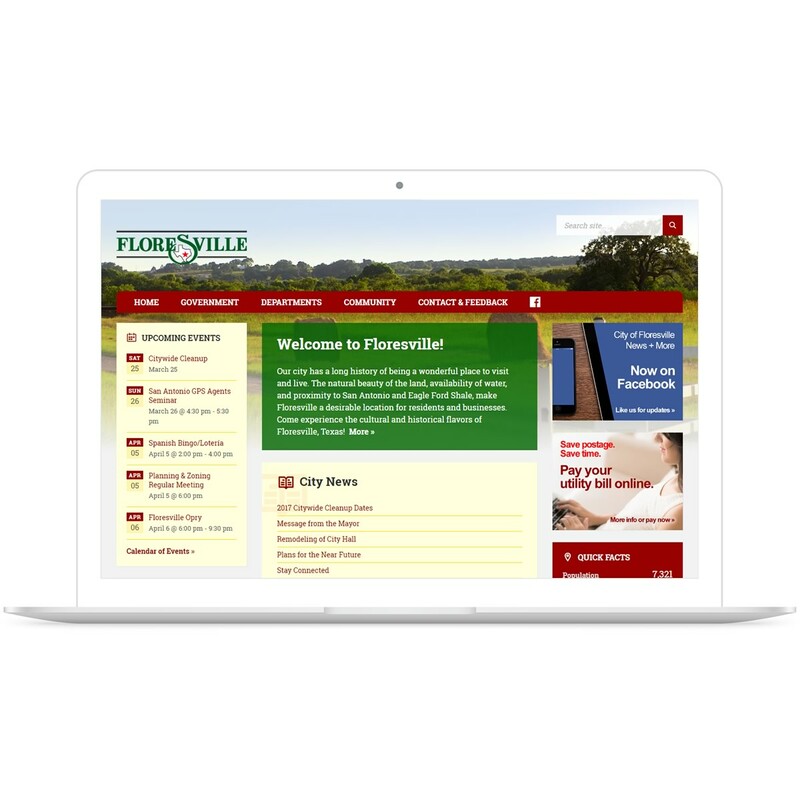 Reflecting on the city’s namesake (flores is Spanish for flowers) and the profusion of wildflowers that cover the area in the springtime, we opted for a colorful, photography-driven website design featuring the city colors: green, red, and maroon. Primary goals for the website included improved communication with citizens, easier content management, and optimization for mobile devices. 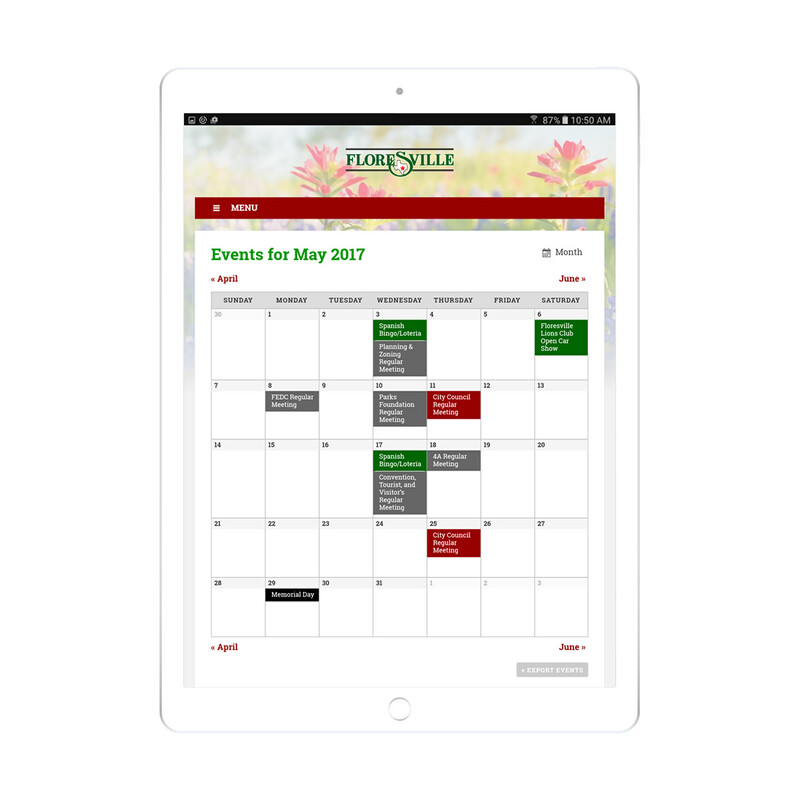 Features include multiple event calendars, news and documents from City Hall, and application forms available online for the first time. 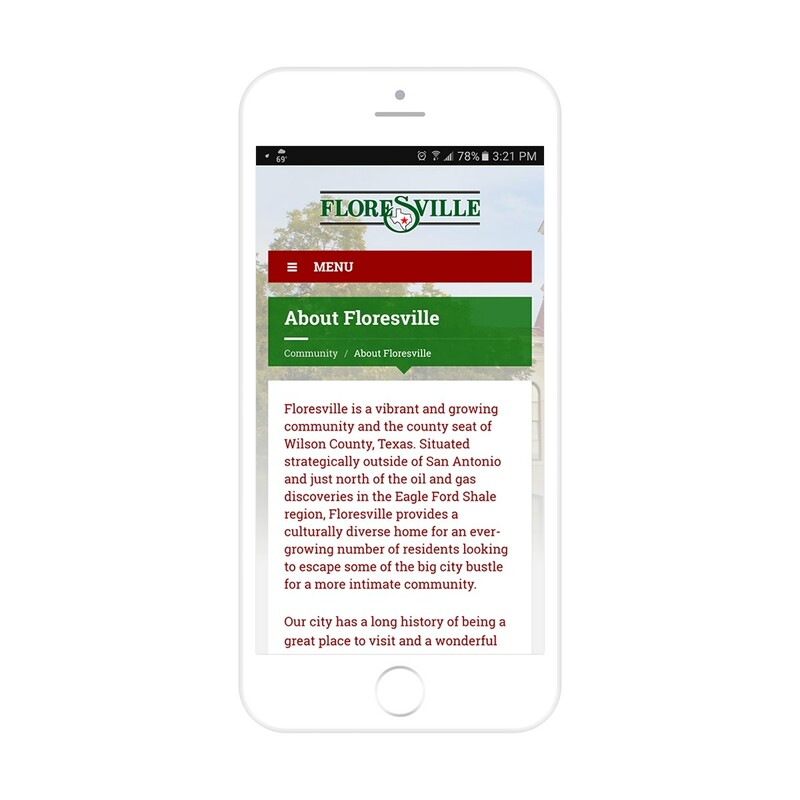 We also launched Floresville’s inaugural social media presence with an active Facebook page with API integration. 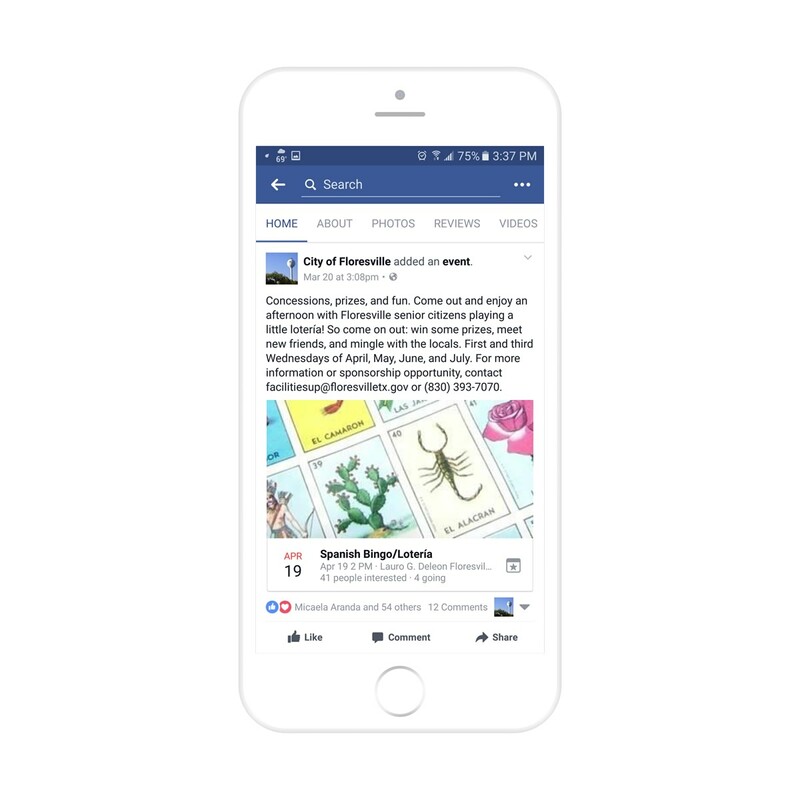 Targeted social media marketing enabled us to quickly build a follower base at the rate of nearly 1,000 new likes per week.